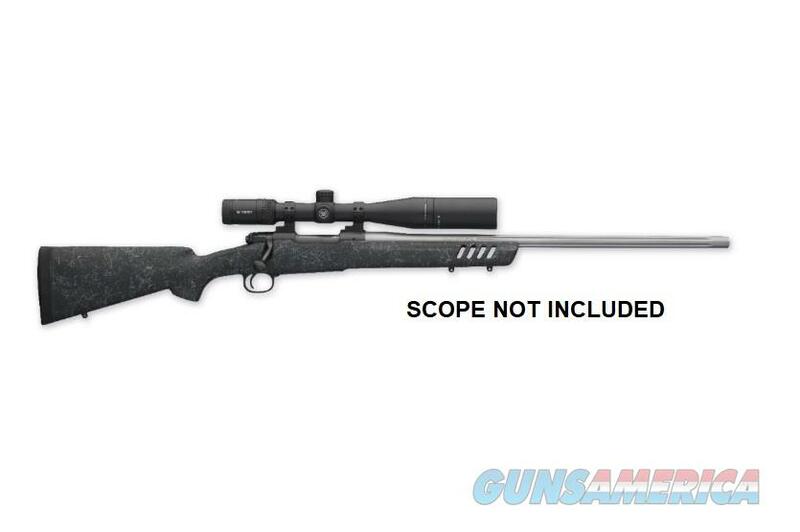 The ultimate Winchester long range rifle ever. That is what some avid shooters consider the Coyote Light. Most crossover varmint/long range guns are easily recognized by their heavy barrels, bipod mounting studs and long range scopes, but they are far from being equal. The Winchester® Coyote Light is the rifle to take along for varmint, long range big game hunting and target shooting fun. It has been carefully trimmed of any unnecessary bulk but is no lightweight when it comes to performance. Bell & Carlson makes a uniquely high-quality product. This rifle does not have a traditional injected type stock. As per specifications developed by Bell and Carlson and Winchester Repeating Arms, the stocks are "constructed using a 'hand lay-up' process, using a variety of composite materials. The stock is reliable over a temperature range of -50 degrees to +140 degrees Fahrenheit for extreme stability under any heat and cold conditions you might encounter around the world: Alaska to Arizona and beyond.